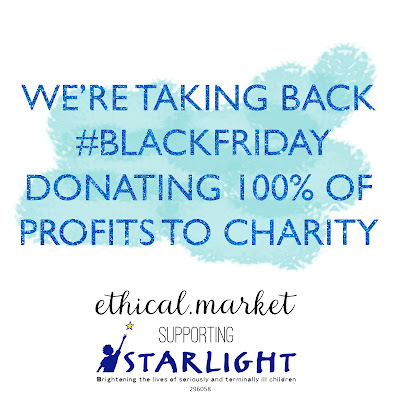 For a second year running ethical.market will be supporting Starlight. 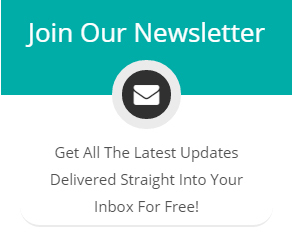 A children's' foundation brightening the lives of seriously and terminally ill children. 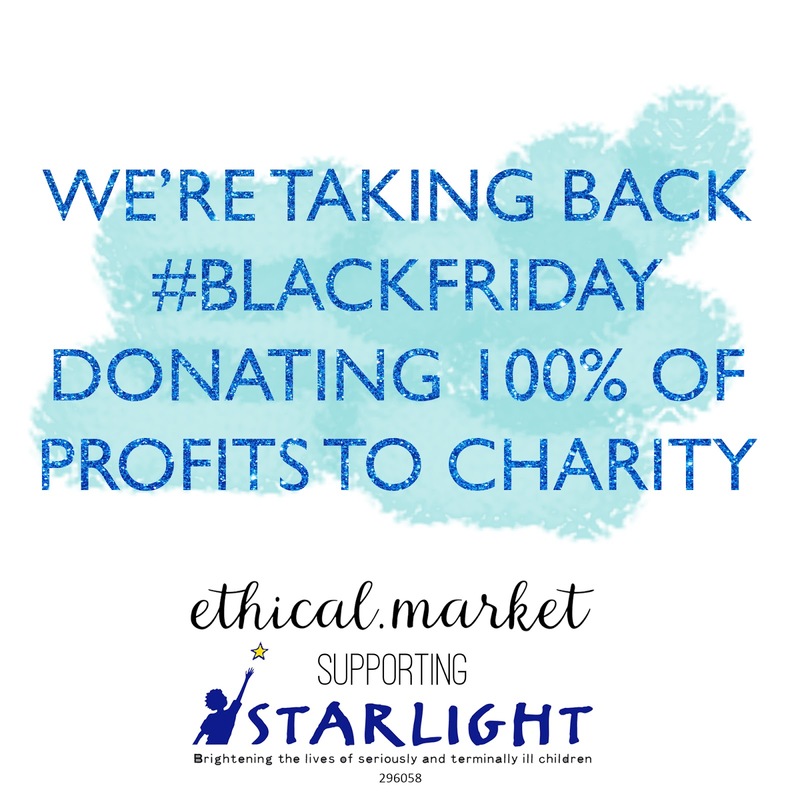 Instead of unnecessary discounts ethical.market will be donating 100% of profits from the day to charity. 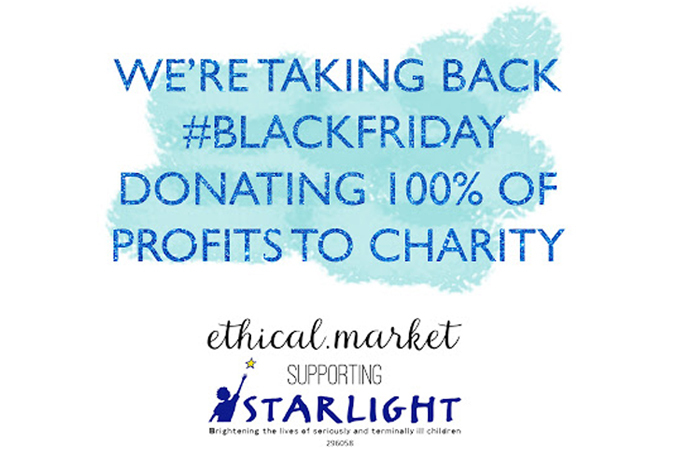 Currently helping over 500,000 children every year who are hospitalised, Starlight provides fun entertainment, laughter and distraction to children in every children's hospital ward and hospice.